Triple Threat: Kagura Tensho - Kampai! : Kampai! The lovely golden and deep ruby red label on the black bottle cuts a striking figure. It also promises a richness and elegance beyond the price point. But remember, don’t judge a book by its cover or a shochu by its bottle. 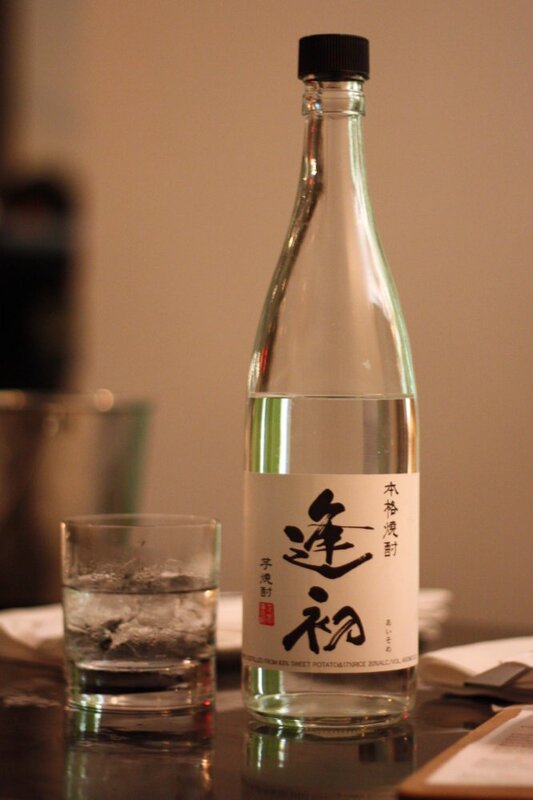 This is a very easy drinking shochu, probably from mixing rice and barley, two of the smoothest shochu grains, with a third grain that is also very neutrally flavored. We’ve had one other soba shochu (not yet reviewed) that was also an easy drinker. This may simply be characteristic of the sobas – we’re still exploring and will report back elsewhere. 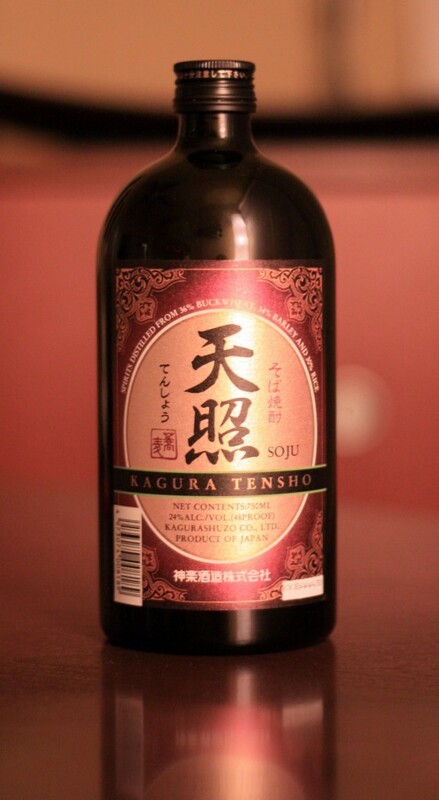 Kagura Tensho does not have any stand-out characteristics on the nose or flavor front, though it’s slightly sweet with a very mellow herbal finish that’s not at all unpleasant. Overall, we liked Kagura Tensho as a mellow drink. Kagura Tensho is a very easy drinking soba shochu. It is very nice on its own and would tolerate cocktail mixing. That in itself suggests its worth trying. And I can’t wait to see how people make buckwheat cocktails!